(Atlantic) 10 Tracks - Rare Soundtrack from the 1987 cult movie! Featuring Ronnie Self, The Drifters, Johnny Cash, LaVern Baker, Bobby Darin, Big Joe Turner, Ray Charles, and many more! Cut Out - Sealed, new stock copies in original longbox with small cut-out drillhole on side! 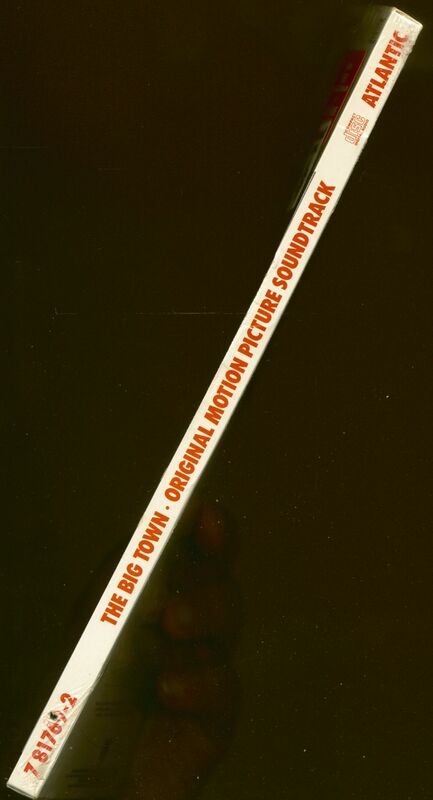 Customer evaluation for "The Big Town - Original Motion Picture Soundtrack (CD Longbox)"